The Blossom & Berry Nurture University will showcase talent and share knowledge within our group and within our wider online community. We have an amazing line up of professionals, all committed to support parents in their journey nurturing their children. 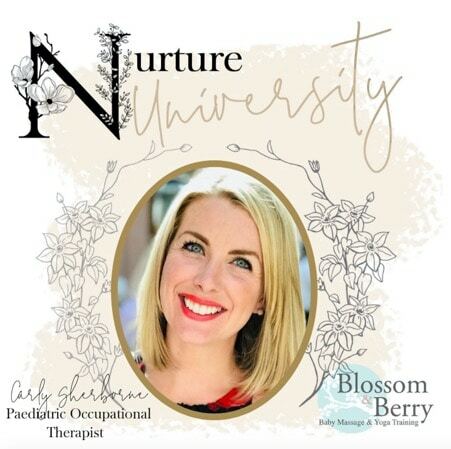 Every month, we will have one of our experts from the Blossom & Berry Nurture University going live on our Facebook page, talking about topics related to the development of babies, the importance of connection, love or touch. In the months when we celebrate mothers worldwide (March and May) we will have two experts featuring per month, making a total of 14 episodes for 2019. The majority of our experts come from our Nurture Collective group, a couple are professionals who we have linked up with as they are aligned to our vision and values. The expert will be featured usually the third Wednesday or Thursday of the month in the evening, we will publish the schedule and remind you beforehand to make sure you stay tune. On the Friday of the episode, we will publish a blog written by the expert of that week so that they get to share more of their wonderful work. As a special bonus for all members of our Nurture Collective, we will have a live Q&A session following the live episode, so we can further the discussion even more and continue interesting conversations. We believe that the more we share and the more we are open to learn, we will be in a better position to make a difference in the lives of parents and caregivers. They are their babies’ first teachers and they deserve love, support and care, their wellbeing is paramount to be the best they can be to look after their children. Nurture is at the heart of everything we do and we want to give all parents and babies the best start in their journey together. Professionals supporting parents also need to be valued and seen, they are catalyst of positive change. We want to facilitate networking opportunities and we want to provide our teachers with the latest research and information in our field, so that they can continue to create spaces where loving and strong bonds can be formed between parents and babies. 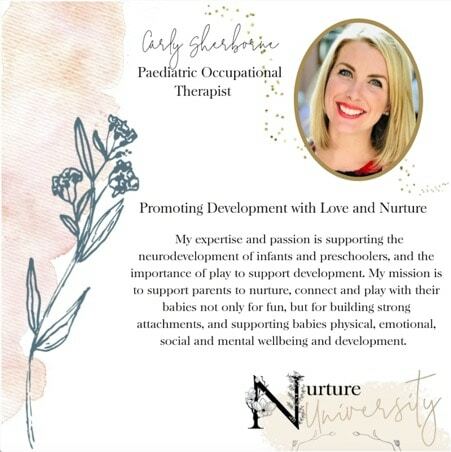 To kick us off brilliantly, we will have Carly Sherborne, Paediatric Occupational Therapist and Infant and Pre-schooler Development Expert. Her live Facebook episode will be about why Tummy Time is so important for babies’ development and how to support baby in this stage. Connect with her on Thursday 24th January at 9pm (GMT) via our Blossom & Berry Facebook page. That evening at 9.30pm, she will lead a Q&A session in our Nurture Collective group.